It will help you pinpoint what's standing in your way. I’ve been diving deeper into training the mind when it meets difficulty, stress, the urge to procrastinate, anger, pain, uncertainty, discomfort. And here’s the secret I’ve learned: what most people take to be bad news is actually the good news. 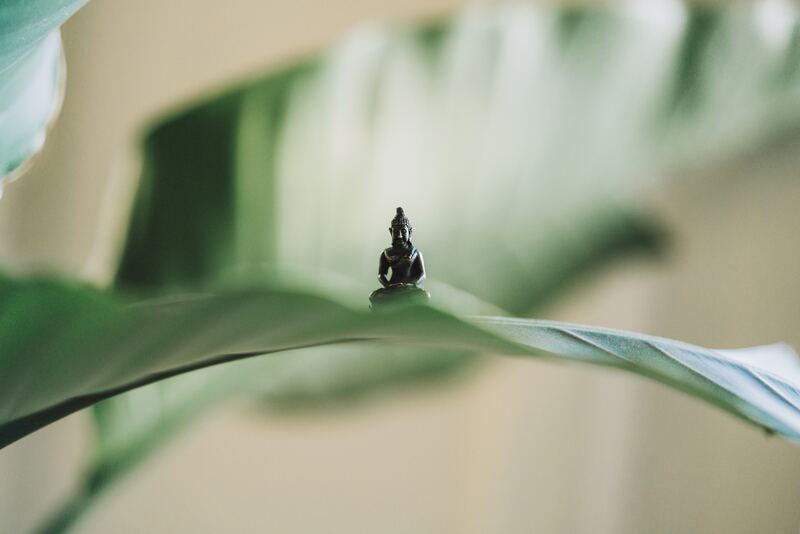 Let’s take the example of Greg … he wants to start meditating, so he commits himself to the daily habit of meditating for 10 minutes every morning. Wonderful! And he does a great job at first, meditating for more than a month without fail. He’s feeling pretty good about himself. Then he has to go on a trip, and he’s so busy that he misses a couple days of meditation. When he returns home, his mom comes to visit and he doesn’t seem to have time to meditate now. What’s Greg’s reaction? He feels bad for missing mediation, breaking his streak, falling apart because of travel and a visitor. He starts doubting whether he can stick to the habit, feels guilty, doesn’t even want to think about the meditation habit. When he wakes up, he goes on his phone to distract himself from what he’s not doing. Bad news for Greg, right? Actually, this moment is good news. In this moment, he has entered his beautiful practice ground. If he can retrain his habitual reaction, he’ll eliminate most of his difficulties. Instead of falling apart and avoiding when he misses a habit, he’ll just start again. With gratitude. When he hits upon other difficulties, with training he can just figure out a way to deal with it, and not fall apart and start avoiding things. So it’s very, very good news that he has noticed his difficulty, his habitual response to difficulty, uncertainty, discomfort. This very moment, when he’s avoiding and feeling bad and running to distractions … this moment is his Beautiful Practice Ground. This is where he wants to be. In the middle of this habitual response, he can pause. He can notice what’s going on. He can practice a different response. He can start to retrain his mind by opening up other possibilities. Come to regard your difficulties in life as good news. See the moment of your failures, complaining mind, distractedness, anger, frustration … as your Beautiful Practice Ground. Becoming annoyed by the behavior of others, and spinning a story of resentment in your head. Procrastinating when you have a difficult task. Putting off the moment of starting a habit like meditation, exercise or writing. Feeling bad about yourself when you fail to live up to your expectations. Resenting others when they fail to meet your expectations. Giving in to urges and temptations and then rationalizing them, criticizing yourself, or avoiding even thinking about it. Getting upset when things don’t go the way you want them to go, lashing out at others or stewing in resentment. In other words, all of our most difficult situations are our Beautiful Practice Grounds! We can start to regard these difficulties as good news. As places to practice that are filled with compassion, love, and opportunity for growth. When you notice yourself having difficulty — someone is frustrating you, you are disappointed in yourself, you’re procrastinating on a hard task or habit you’re trying to form, you’re feeling resentful or criticizing yourself — start to recognize this as your Beautiful Practice Ground. And see it as a wonderful opportunity to practice. Now pause. Stop here in this Beautiful Practice Ground and just notice what it’s like. Notice the sensations here, the quality of the experience. Notice how you feel, and welcome whatever you feel and notice, as you would welcome a good friend into your home. Notice what your habitual reaction is … do you want to avoid thinking about this? Do you want to run to distraction? Do you want to make a list, do an Internet search for answers, or otherwise get control? Do you want to lash out in anger, criticize, spin around a story of resentment? Notice that you don’t need to actually do your habitual reaction. You can create a sense of space so that you have mindfulness, choice, openness. See if you can find curiosity in the middle of this space. What is it like to just sit in this Beautiful Practice Ground? See if you can take a different action, create a fresh response, act out of love and compassion. This is the work in the Beautiful Practice Ground. It’s good news that you have this practice ground, and the opportunity to train in the middle of it. Once you begin to do this, the entire world can shift.